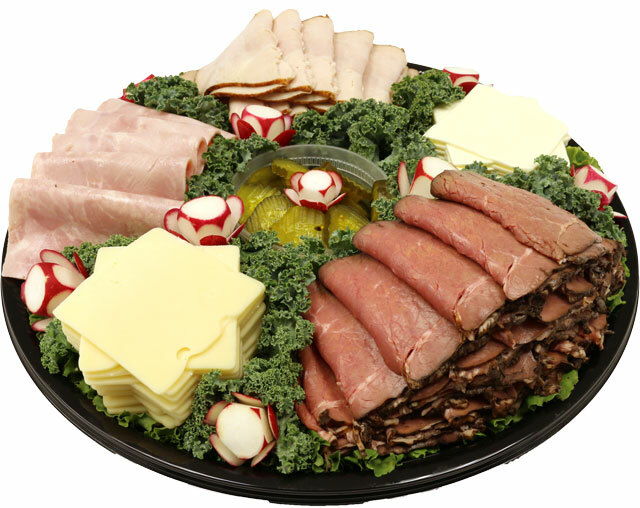 Karns Party Trays Get The Party Started! 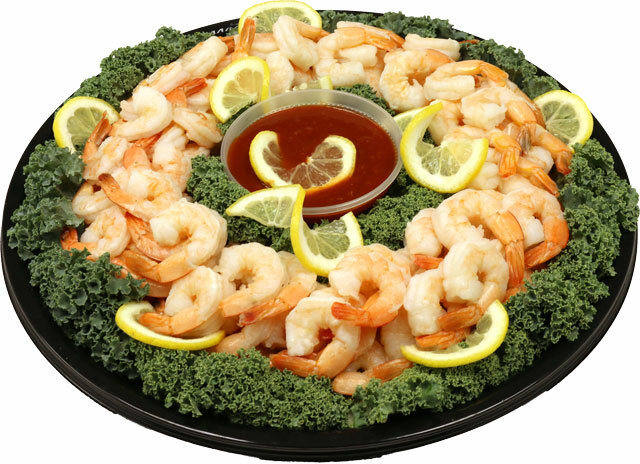 Order from our selection of Shrimp Platters, Snack, Tempting Relish, Deluxe Meat & Cheese, To Your Health, Fresh Fruit and The Works trays. Also check out our 3' and 6' Italian, Ham and Turkey Party Subs! Select either peeled & deveined cocktail shrimp or seasoned pick & peel. Trays include cocktail sauce for serving. 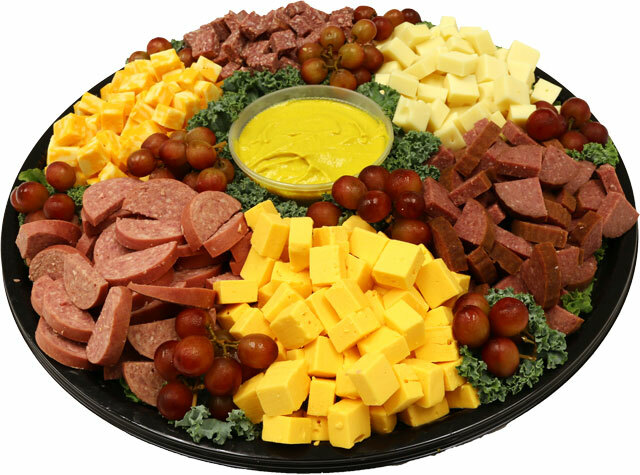 Cubed Lebanon bologna, ring bologna, Swiss & sharp cheese are sure to be a crowd pleaser! Trays include dipping mustard. 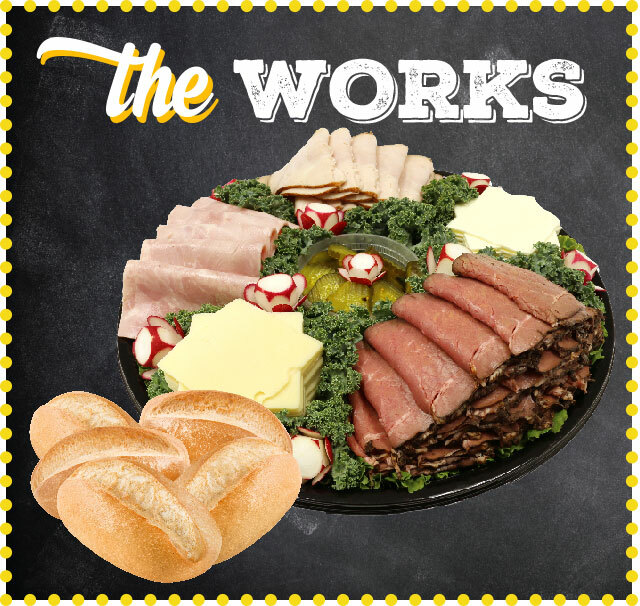 Assorted roast beef, turkey, ham, American & Swiss cheese make for the perfect build-your-own sandwich tray. Trays include pickles. Don't forget to add on our condiments tray! Everything you need to top a great sandwich! 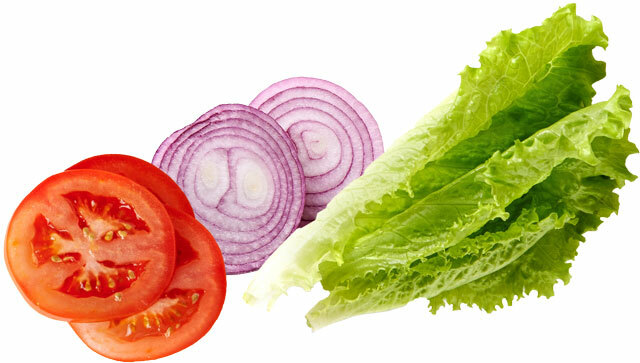 Tray includes lettuce, tomato and onions. 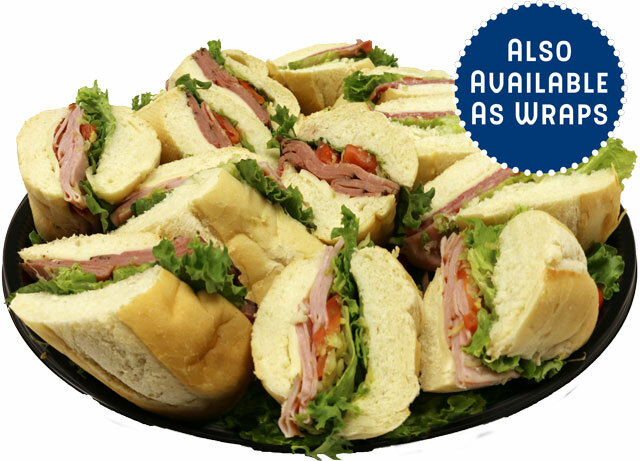 Party-perfect sandwiches with your choice of ham, turkey or roast beef with American cheese. 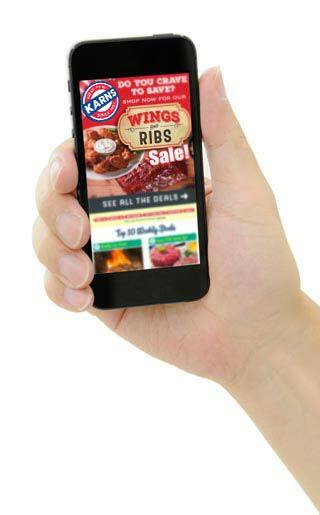 Select one, two or all three of the meat choices. 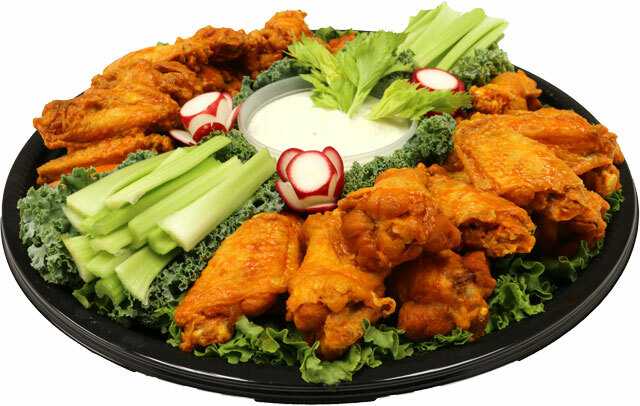 Fresh Karns party chicken wings tossed in either honey bbq or Buffalo sauce and served with celery and your choice of blue cheese or ranch dipping sauce. 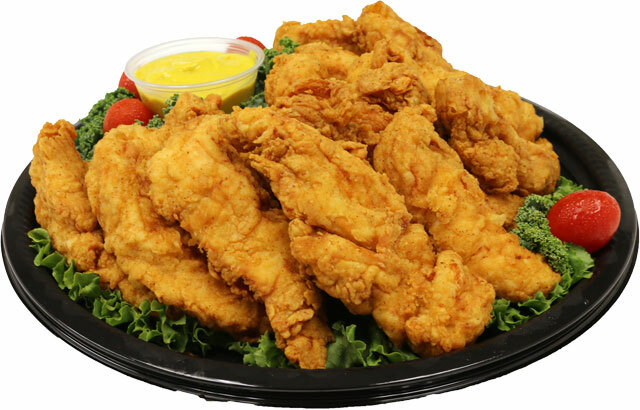 Karns tender and juicy chicken tender tray is a favorite for any occasion. Trays include honey mustard or bbq dipping sauce. 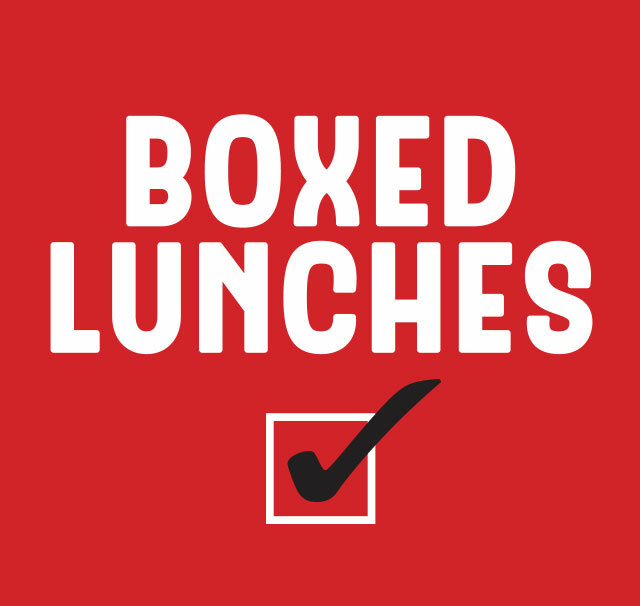 Your choice of Italian, turkey or roast beef on a fresh baked roll. Sure to please your group!